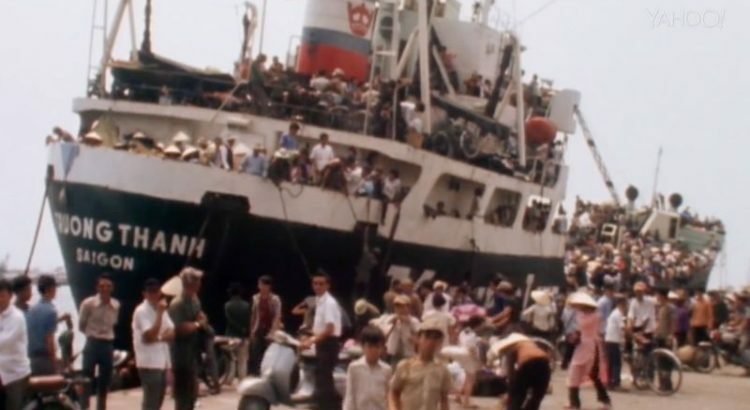 “Last Days in Vietnam” and Responsibility in Documentaries – arts, ink. The Vietnam War continues to be fresh in Americans’ conscious as one of the last conflicts of the Cold War, and “Last Days in Vietnam” does a detailed job in preserving the war’s memory by featuring interviews with American and Vietnamese people who lived through it. The film brings history to life, but its lop-sided coverage of the war shows the dangers of documentaries engaging in political issues. The conflict is a very sensitive matter, which the Vietnamese refer to as the American War since it was a brutal satellite war for America to forward its imperialist interest in maintaining superpower status. The documentary does not get the perspective of the opposition to American forces. All the interviewees have ties to the United States, either as members of the American armed forces or as Vietnamese refugees who escaped to our country. This does not mean there was no value to the film. To hear the first-hand accounts of the American men who actually fought the war was gripping, especially their very human emotional struggles as they dealt with the impact the conflict had on civilians who lost their homes and lives. The archival film footage of bombings, evacuations, military exercises and the like made vivid the clear descriptions of the Vietnam War I read about in history class. The tragedy became much more comprehensible by showing the individual people and actions it takes to mount a war in the first place. But the lack of perspectives outside of the forces with America makes the documentary a simple and concise history of only the mainstream American narrative of the war. To not have this view counterbalanced with that of the Soviet-allied forces makes the loss American forces hard to understand. There is no focus on the achievements and developments on the Soviet side that led to their success. Only the work of the American forces is then appreciated. The documentary is very good on a technical level. At the beginning, I was deceived into believing that the incredibly conventional editing of the documentary would contain an incredibly conventional story. Instead, the intricate and chaotic nature of war strategy plays out in the most visually literate manner possible. However, if the viewer does not have a nuanced education on the Vietnam War, this film could do them a disservice by only presenting one flawed view of the conflict, and even then not focusing on the Vietnamese people who were most impacted. While chronicling America’s involvement in the Vietnam War, at no point does the documentary dive into historical analysis, leaving me wanting more. I’m sure the interviewees have strong views on the war that could have been shown in a balanced way to the benefit of the viewer’s knowledge without getting mired in politics. I don’t consider the limited scope of the documentary a fatal flaw. To include the Soviet side would be to extend the documentary far past its hour-and-a-half running time, and would expect a movie to be as authoritative as a vetted history textbook. However, the lack of self-awareness in its obvious bias is concerning. As the saying goes, history is written by the victors. Those who truly respect history must resist this vantage point.